Sennheiser HD 4.50BTNC review | What Hi-Fi? 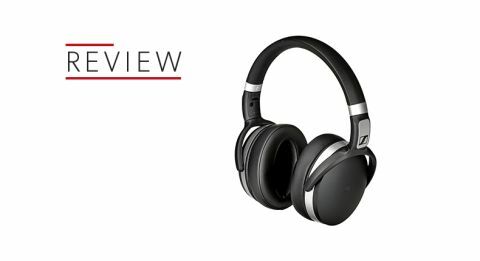 Two years ago we’d have been surprised if anyone could deliver a great-sounding pair of wireless noise-cancelling headphones for under £200. But with Award-winners now available for half that, we’ve almost come to demand it. And not least from Sennheiser, whose record of headphone mastery has been - to put it mildly - admirable. So it’s with some level of anticipation we begin testing this pair of HD 4.50 BTNCs. But for their pair of active technology features, there’s very little flashy about them. Sennheiser makes a point of the HD 4.50 BTNCs’ somewhat demure aesthetic, favouring a basic, functional and foldaway closed-back design that ought remain timeless in the face of any fashionable colour or superficial quirk. That, as far as we’re concerned, deserves a big old tick. What little embellishment there is on these cans is in the form of on/off, volume and call-making controls on the right ear cup, alongside ports for USB charging and cable for wired listening. It’s all very tidy, but the sausage-fingered will find room to fumble between them all. There’s little benefit to wireless noise-cancelling, though, if your days are lived in dread of the battery running out and Britney Spears listening preferences blaring from your phone across the train carriage. So it's just as well Sennheiser promises 19 hours of battery life – and up to 25 hours with NoiseGard (its noise-cancelling technology) switched off. In our experience they charge up pretty quickly too. We’re pleased to report on that familiar Sennheiser build quality: sturdy, yet lightweight enough for traipsing around town. At first they feel well cushioned, too, though over time we feel them hugging a little too tightly to our heads - to the point that we need to remove them and give our ears a rest every so often. It might not be a problem for everyone, but for the less petite it could be an issue. Nonetheless, we begin testing by opening Tidal and clicking play on Bhundu Boys’ Muchiyezda. We're welcomed by a smooth presentation that suits the album well – and we enjoy no real sense of what’s going on outside our noise-cancelled cocoon. There’s no getting away from the substantial helping of bottom end. It feeds the kick drum that drives songs throughout the record, and offers significant body to the bass guitar as it keeps afloat the bobbing rhythms of its six-stringed counterparts. Vocals, too, are anything but lightweight - harmonies, especially, reap the benefits of the bass-heavy balance. They have real presence as they call and answer with the main melody lines. But overall it’s just too much. Coupled with treble frequencies that sound like they have been rolled off at the top end, the balance feels bell-shaped. The low end muddies what we’d really like to be listening to higher up the register. It doesn’t help either that those bass frequencies are far from the most agile we’ve heard, with a kind of gloopy consistency that sounds as if it’s slowing down the whole performance. Yes, a solid foundation is especially important with music like this - but even more so are bass lines able to shake at the same pace as the rest of the band, and with muscle rather than flab. Perhaps in part due to the bottom end being so overloaded with heft rather than insight, we don’t hear the kind of detail or dynamic variance that would really make the music sing either. Shifting to Max Richter’s Out Of The Dark Room, where temperament is less obvious than with Bhundu Boys, the HD 4.50 BTNCs really struggle to dig out any of the mood signifiers. Pedals and drones mostly drag rather than swell, arpeggio strings lack the emphasis to drive their rhythmic patters, and the sparse and sporadic melody lines yearn for more emotion. It isn’t a boring listen, but in reality it’s all just okay. We want more than 'so-so' for our money and, quite frankly, more from a brand we’ve grown to assume will deliver. Things improve when we plug the headphones directly into a laptop and use them as we would any standard pair. It’s a bit like a valve has been switched and pressure released: there’s space where there none existed before, and the bottom end is less imposing than previously. But it still isn’t an affecting or particularly detailed listen. And anyway, that isn’t really how Sennheiser designed these to be used. Used to exploit their specification as wireless noise-cancelling headphones fully, they’re, well - alright. If alright isn’t good enough for you - and why should it be? - there are far better options available for less money.